Nairobi Senator Mike Mbuvi Sonko’s twitter account has been hacked by people calling themselves “anonymous”. Sonko has now advised all his twitter followers and Kenyans at large to ignore the posts on his twitter until such a time that he will reclaim its ownership. Sonko has posted on his Face book “Kindly ignore all tweets coming from my twitter account..It was hacked yesterday am doing all I can to get it back. Sorry for any inconvenience”. The hackers have been posting nasty information to confuse his followers. Sonko has also advised his followers that the currents post on his twitter are malicious and are only meant to turnish his good name and must be ignored. 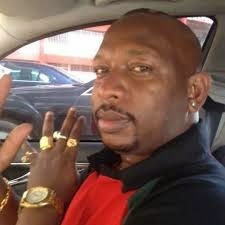 Sonko is not however the first victim of hackers. Deputy President William Ruto official Twitter account had also been hacked. The official Kenya Defence Forces and the Liaison and Protocol officer Emmanuel Chirchir also had their accounts compromised and abusive messages posted.